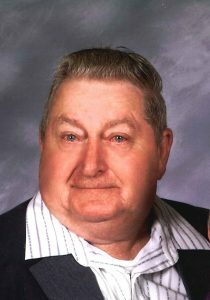 Mass of Christian Burial Thursday, May 24, 2018 2:00 P.M.
Ervin was born May 10, 1939, in Richland, Nebraska to Anton and Sophie (Houdek) Stepanek. On May 28, 1958, he married Irene Lapacek at St. Mary's Catholic Church in Schuyler. They lived in Lincoln and Ervin worked as a welder and was a mail contractor. He enjoyed polka music, tinkering and visiting with anyone and everyone. Ervin is survived by his wife,Irene of Lincoln, two sons: David (Laura) Stepanek, Lincoln, Gary (Cheryl) Stepanek, Davey, brother, Leonard (Elaine) Stepanek, Schuyler, sister, Marilyn (John) Maxson, Wheatland, Wyoming, four grandchildren; Ashley (Evan) Hergott, Danielle (Andrew) Duschene, Joe (Leah) Stepanek, Zach (Amanda) Stepanek and eight great grandchildren; Zander, Cali, Jaxsen, Peyton, Kaitlyn, Jacob, Collins, Noah and one on the way. He was preceded in death by his parents, infant son, Daniel, brother Marvin Stepanek and sister Maryann Stepanek.